Boil water order lifted October 2016. Three bedroom coastal cottage located in popular Elliston/Maberly on the Bonavista Peninsula. Popular with families and those that need space. Under 10 minutes from Bonavista and 5 minutes from Maberly. Great launch point for day trips around the peninsula including Trinity, Bonavista, Port Union and Upper Amhurst Cove. 1000 ft of rugged oceanfront property to explore. Dramatic views of the Elliston Landslide. Minutes to Sandy Cove beach (great swimming) and the best Puffin Viewing Site on the Bonavista Peninsula. Elliston is the Root Cellar Capital of the World, home of the Roots Rants and Roars food festival and the new Sealers Memorial & Interpretation center. It has also been chosen as the site for the new Eastern Newfoundland GeoPark. Be sure to order your National Geographic Map of Newfoundland before you go- not available in retail stores. 3 Days in St. John's Map recommended as well. Search Maps for the Newfoundland Traveller. Large deck with expansive views over ocean. Happy to assist with your itinerary. We own the tour company CapeRace Newfoundland Adventures. Check us out on-line. Also, be sure to purchase your National Geographic Map of Newfoundland- not available in stores. Google National Geographic Map of Eastern Newfoundland for website. The house itself, as well as the location, was fabulous! Comfortably accommodated 5 and proximity to Bonavista was perfect. Views from the back deck and backyard were breathtaking!! We loved staying here!! We loved our stay in Elliston. The place is very clean and it has everything one needs for a few days stay. The view from the deck is just perfect and the beds comfortable. There is perfectly working wifi and the TV works great too. Thank you for letting us stay at your place. Simply a perfect place to stay and enjoy the beauty and activities of the Bonavista area. 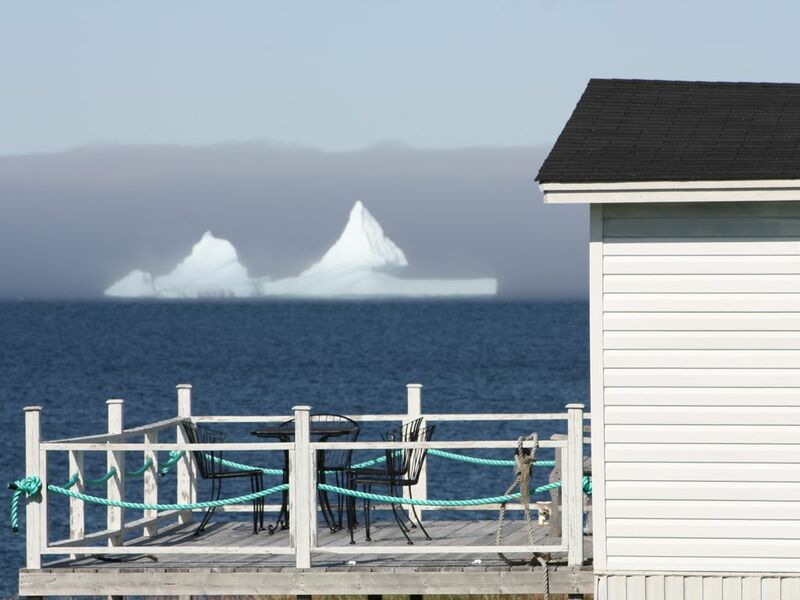 The cottage was clean, comfortable and peaceful, with awe-inspiring views (we saw 3 icebergs from the deck!). We hope to return! Also, the people of Elliston were incredibly friendly and welcoming and we enjoyed a Canada Day breakfast in the community centre. My husband and I stayed at this lovely seaside home for four night while on our first trip to NLD. The home is very well appointed, clean and comfortable. Very comfortable beds, sofa and chairs. Lovely linens and towels. It's decorated beautifully. Views of the bay from the kitchen and the deck are awesome.. We were blessed to have days of sunshine and we spent a great amount of time on the deck. We enjoyed the walk down to the chairs overlooking the water. We toured around Elliston and Bonavista, learning about the 1914 seal hunt disaster from the museum, a short walk from the house. Viewed puffins, whales and icebergs a number of times .I've always wanted to visit NLD , it is a spectacular place,yes somewhat remote but oh so worth it. We could have stayed there longer. It was a dream come true and staying here was a welcome surprise. We've stayed in many vacation homes and this one is one of the best.